Dual Socket LGA1944 G34 w/ DDR3 Slots. CPU Socket Size: LGA1944. Supermicro H8DGU-F Motherboard. Device Type: Motherboard. Any problem with an item must be reported within warranty period. Graphics Cards. Trending at $104.50eBay determines this price through a machine learned model of the product's sale prices within the last 90 days. Manufacturer Supermicro. Reference the RMA number outside of box. For defective parts/systems Our servers and parts are tested for full functions, R2/Ready for Reuse. 1900 Surveyor Boulevard. Check parts for our serial numbers before sending back. Then we will. Wrong size doesn't fit. Or it doesn't fit your application and is marked No longer want the item. Genuine OEM Dell PowerEdge C6145 G34 Socket DDR3 AMD Server Motherboard 40N24 Brand: Dell Part Number: 40N24 MPN: 040N24, CN-040N24 Type: Motherboard PROCESSOR: Chipset: AMD SR5670 and AMD SR5690 Socket Type: Socket G34 Supported Processor: Up to two 4-socket servers, 8, 12 or 16 cores per processor AMD Opteron 6200 processor series, with L3 cache: 12MB MEMORY / RAM: Supported Memory: DDR3 SDRAM Memory Slots: 32 Maximum Memory Supported: 512GB PORT: 3x RJ-45 Ethernet 1x Serial Port 1x VGA 2x USB 2.0 COMPATIBILITY: Compatible Product Line: PowerEdge Compatible Model: Dell PowerEdge C6145 Condition: Manufacturer Refurbished This item will be Shipped exactly as shown in the pictures. Part#: OS6272WKTGGGU Opteron 6272. Processor Socket Socket G34 LGA-1944. Manufacturer AMD. Processor Technology Virtualization Technology. Turbo CORE Technology. # of Cores 16. L2 Cache 16 MB. L3 Cache 16 MB. Super Micro H8DGU-F, Dual Socket G34, Motherboard 2CPUs: Dual Opteron 6276 CPU's Heatsink & Fan. Includes 2x Opteron 6276 CPUs. Tested and ready to go just add ram and HDD. If you prefer you may also feel free to recycle such materials to any local R2 or e-Stewards certified recycler. AMD G34 Motherboard. Manufacturer: ASUS. Use third-party freight forwarding services at your own risk. SocketSocket G34. AMD Turbo CORE Max Frequency3.3 GHz. Frequency2.6 GHz. Model number6282 SE. L2 Cache8 x 2 MB. Supermicro H8QGi-F Socket G34 Motherboard. Quad 1944-pin Socket G34. Supports up to four16/12/8/4-Core ready AMD Opteron™ 6000 Series processors. CPU Thermal Trip Support. CPU / System Overheat LED. CPU Supporting List. G34 AMD MBs. ★ Tailor-made CPU Fan Cooler for Socket G34 included. One Motherboard, One I/O Shield, Two SATA 6Gb/s cable, One 2-heatpipe CPU fan cooler for Socket G34 (3-pin, Max. Socket G34 1944-pin. ). Need it fast?. AT 62335-62364. PROCESSOR MODEL OS6204WKT4GGU. SOCKET TYPE Socket G34. PROCESSOR TYPE Opteron. All Red Door Processors are tested. CLOCK SPEED 3.3 GHz. Item Specifics. If you prefer you may also feel free to recycle such materials to any local R2 or e-Stewards certified recycler. Dual Socket G34. 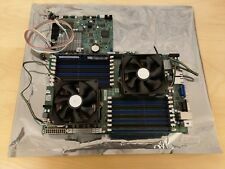 Dual AMD Opteron 6300/6200/6100 series. CPU Socket Type. Slot Location 3: PCI-E x16 (Gen2 X16 Link), Auto switch to x8 link if slot 2 is occupied. Slot Location 6: PCI-E x16 (Gen2 X16 Link), Auto turn off if slot 5 is occupied, For 1U FH/FL Card, MIO supported. Socket Type Socket G34. INTERNATIONAL ORDERS. We are not staffed to research/report compatibility concerns. If possible, include photos or video to assist in understanding the problem. HAVING TROUBLE?. Socket G34. Opteron 6376. CPU Socket Type. 64-Bit Support. Hyper Transports. Quad 1944-pin Socket G34. Supports up to four16/12/8/4-Core ready AMD Opteron™ 6000 Series processors. CPU Socket TypeSocket G34 LGA-1944. SUPERMICRO LINK CPU TypeOpteron Dodeca-core Opteron Octa-core. Software/Data Recovery is not covered under Warranty. We recognize and respect your privacy concerns and expectations about how we use this information. We want you to know about our privacy policies and practices, and what we do to protect your Personal Data. Make: AMD Model: OS6276WKTGGGU UPC: None. Socket Type Socket G34. 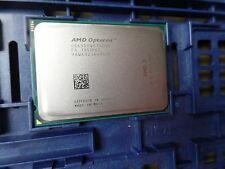 Processor Model AMD Opteron 6200 Series. Number of Cores 16. Then, place a new order for the item of your choice. MPN Does Not Apply.